There are several articles about how the museum was established, the challenges it has faced and continues to encounter. What is unique about this research is that it has mostly come from staff of the museum and members of the board. Yet they are not merely celebratory about developments that have taken place. 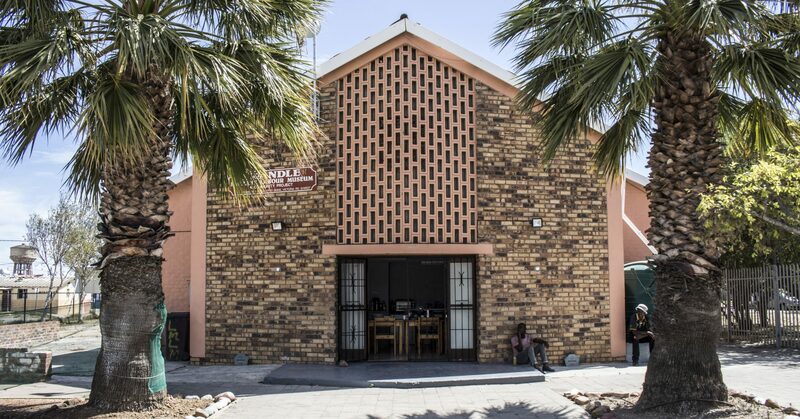 They provide a critical insiders perspectives of the history of the Lwandle Migrant Labour Museum since it opened its doors in 1999. Noeleen Murray, ‘Working with inconsistencies and discontinuities: Comparing conceptions of heritage and urban design at the Lwandle Migrant Labour Museum’, Architecture South Africa, March/April 2007, 30-33. Leslie Witz, ‘Museums on Cape Town’s township tours’. In N Murray, N Shepherd and M Hall (eds), Desire Lines, (London: Routledge, 2007). Paul Faber, Ciraj Rassool and Leslie Witz, South African Family Stories: Reflections on an experiment in exhibition making (Amsterdam: Royal Tropical Institute, 2007). Vusi Buthelezi and Bongani Mgijima, ‘Mapping museum-community relations in Lwandle’, Journal of Southern African Studies, 32, 4, (2006), 795-806. Leslie Witz, ‘Transforming Museums on Post-apartheid Tourist Routes’. In I Karp, C Kratz, B Kirshenblatt-Gimblett, C Rassool and G Buntinx (eds), Museums Frictions (Durham: Duke University Press, 2006), 107-134. Vusi Buthelezi: ‘The South African Jewish Museum and the Lwandle Migrant Labour Museum: Serving different publics in two community museums in the Western Cape’, MA mini-thesis in Public and Visual history, University of the Western Cape (2005). Leslie Witz, ‘Revisualizing township tourism in the Western Cape: The Migrant Labour Museum and the re-construction of Lwandle’. Journal of Contemporary African Studies, 29, 4 (2011), 371-388. Leslie Witz, ‘Meetings of world history and public history’ in Douglas Northrop A Companion to World History (Chichester: Wiley-Blackwell, 2012), 97-110. Noeleen Murray and Leslie Witz, ‘Camp Lwandle: Rehabilitating a migrant labour hostel at the seaside’, Social Dynamics: A journal of African studies, 39:1 (2013), 51-74. Leslie Witz, ‘Observing and disobeying the signs: The Lwandle Migrant Labour Museum, a heritage park in Cape Town’, Norms in the Margins and Margins of the Norm, 25-27 October 2012, Royal Museum for Central Africa, Tervuren. Leslie Witz, ‘The making and unmaking of museum communities at the sea side’, in Centre for the Advancement of Non-Racialism and Democracy, Healing Through Heritage and Memorialisation, Conference Proceedings (Port Elizabeth: Nelson Mandela Metropolitan University Occasional Publication Series), 63-73.